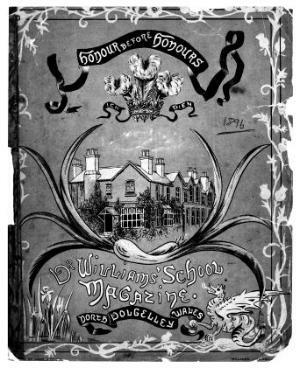 The periodical of Dr Williams' School, Dolgellau, which mainly published school news. Originally a biannual publication it became an annual publication from 1918. Associated titles: Dr Williams' School Dolgelley Magazine (1941); Dr Williams' School Dolgelley (1947); Dr Williams' School Dolgellau (1958).